Dr. Scott Salowe is an experienced research scientist and lab head in early stage drug discovery, particularly in the areas of assay development, identification of novel chemical scaffolds, and the mechanistic characterization and differentiation of lead compounds. Dr. Salowe joined Venenum Biodesign in 2017 after a 25-year career at Merck Research Laboratories where his deep experience in biochemistry and enzymology was leveraged in multiple therapeutic areas for hit to lead progression. During his tenure he served as an in vitro pharmacology subject matter expert on cross-functional teams for internal drug discovery projects as well as programs with external collaborators. 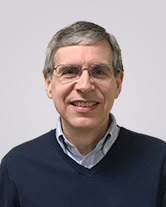 Dr. Salowe brings expertise in delivering innovative biochemical assays for important drug target classes to support screening campaigns and medicinal chemistry optimization. Examples of the diverse targets he has worked on include PCSK9, hypoxia-inducible factor prolyl hydroxylase, calcineurin phosphatase, cGMP-dependent protein kinase of apicomplexan parasites, bacterial DNA gyrase, and anthrax lethal factor protease. Dr. Salowe earned his B.A. degree in chemistry from Haverford College and his Ph.D. degree in biochemistry from the University of Wisconsin-Madison under the supervision of Dr. Joanne Stubbe. He performed his postdoctoral work in the laboratory of Dr. Craig Townsend in the chemistry department of Johns Hopkins University. He has authored or coauthored over thirty scientific publications and patents.